For a man supposedly on a hiatus (now officially over) Trent Reznor has kept himself remarkably busy. Unlike his most famous creative outlet, Reznor’s recent activity has been a product of creative collaboration. Working with producer Atticus Ross, he provided remarkable scores for David Fincher’s The Social Network (for which he won an Oscar) and The Girl With The Dragon Tattoo (for which he really should have won an Oscar). He’s collaborated with Beats by Dre* on a music streaming service yet to launch. And most pertinent to the matter at hand, he formed a new band with his wife Mariqueen Maandig, visual artist Rob Sheridan and perennial best bro Atticus Ross. This band, How To Destroy Angels, seemed to serve as an epilogue to the Nine Inch Nails catalogue, but with their debut full length, Welcome Oblivion, they’ve spread their wings into a full fledged band. 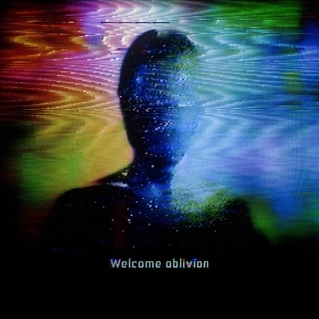 In fact, Welcome Oblivion represents the culmination of all of Reznor and Ross’s collaborative efforts even if it doesn’t expand into new territory. The most consistent thread through all of Reznor’s work is his absolute mastery of sonic space and modern production techniques. His older work was built upon finding the breaking point of the instruments he worked with, pushing sounds to their limits until they tore themselves apart in his song’s climaxes. Since pairing up with Atticus Ross on 2007’s Year Zero, his approach has been decidedly more minimalist. Often the sounds he chooses sound like they’ve come pre-broken. Pads crackle and leave holes while synthesizers howl in the distance like wounded animals. Where earlier Nine Inch Nails often sounded like a bomb going off in the middle of a construction site, the later releases, along with the soundtrack work and HTDA sound like wind rattling through the wreckage. This post-apocalyptic veneer carries over to Welcome Oblivion, which was made almost entirely on warped and degraded analog instruments. Reznor and Ross’s interest in wide open soundscapes that they developed in their film work is also showcased on the later half of the record, especially the closing four tracks, which mostly eschew vocals for gradual layering of textures until the tracks wash away. This focus on timbre in place of songwriting is certainly interesting, and Reznor has proved over the years that it’s something he’s very good at, but it’s a bit of a shame since he’s also a master of pop melody. While his lyrics are still built from blunt phrases and fairly standard imagery, he and Maandig do an incredible job of arranging them into nefariously catchy hooks. Though Maandig’s dynamic range is certainly limited (her harsher yells on the title track sound incredibly forced) she excels when singing in a soft and almost emotionless affect. Normally this understated approach could wreck the potential of a strong melody, but Maandig’s vocals fit perfectly with the unnerving and desolate production style. Where her voice alone can’t carry the song, Reznor bolsters it with harmonies, like on "How Long" and "Strings and Attractors", (two of the most overtly poppy songs he’s written since 2005’s With Teeth) or mixes it as if it were another instrument, making the song even more claustrophobic in the process. With all of these obvious strengths in writing and production, the only thing holding Welcome Oblivion back is a lack of surprises. The idea of a hook heavy electronic album slowly disintegrating into ambience is an interesting one, but it’s a trick that Reznor pulled on 2009’s The Slip. Beyond structural concerns, there’s the matter of repetition on a song-by-song basis. Too many tracks end by suddenly increasing the volume before cutting out equally as quickly. Again, this is an effect that works incredibly well once, but doesn’t sustain novelty after 13 tracks. Other songs like the title track and "Too Late, All Gone" resemble specific songs from Year Zero in their instrumental arrangement, but are luckily differentiated enough by Maandig’s unique take on Reznor’s melodies. It would be wrong to claim that Reznor is running out of ideas in his middle age, but even if were, he still knows how to dress up the old tricks in new ways.